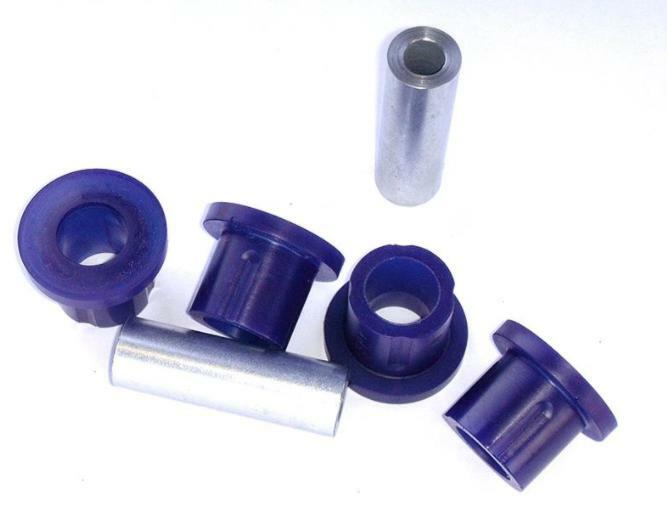 SuperPro elastomer bushings are perfect for any vehicle used for performance driving. Replacing the stock sway bar bushings decreases deflection and increases suspension stability over stock rubber bushings. OE sway bar bushings are designed from soft rubber and deflect excessively, allowing the body to roll during normal and aggressive driving. 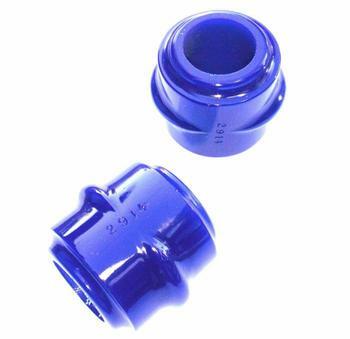 SuperPro elastomer bushings minimizing deflection, keeping the body flat during cornering giving you better response, improved overall feel, and increasing suspension performance. 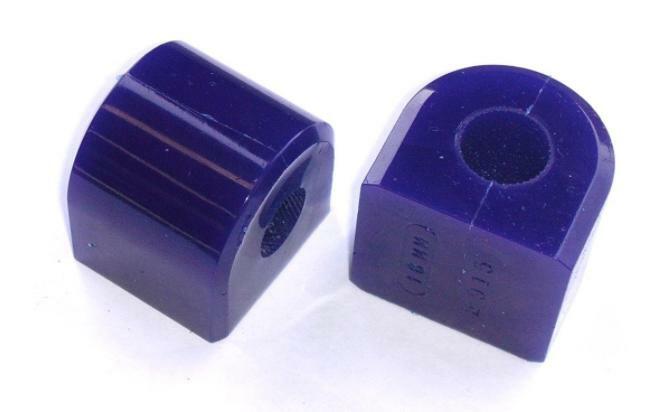 The elastomer material is compliant enough to absorb NVH and allow for enough articulation for great handling. 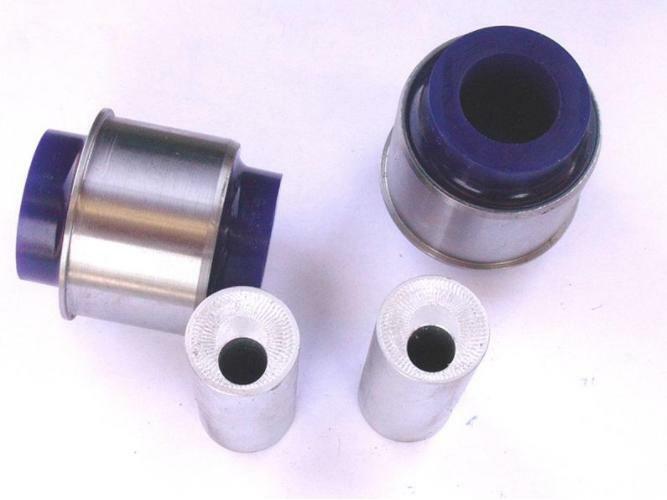 This incredible combination gives you a much-improved overall feel in any performance-driving situation. 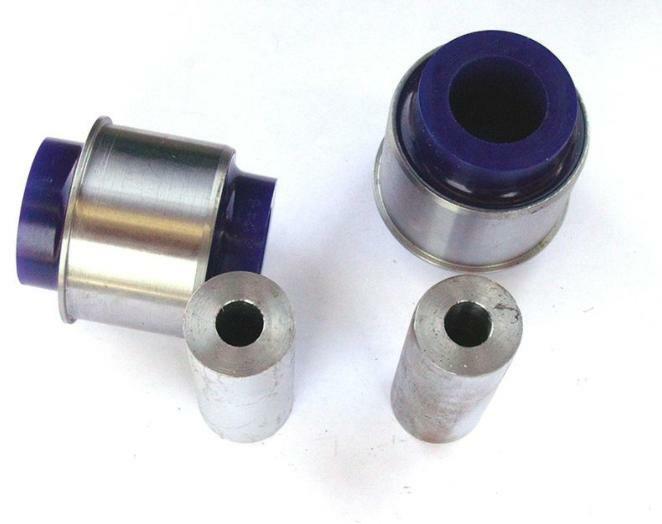 Kit contains two 32mm elastomer front sway bar bushings – Sold as a pair.